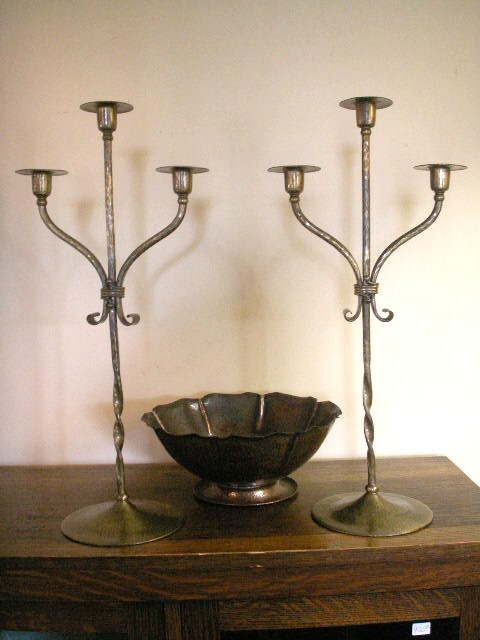 We specialize in decorative items, furniture, and lighting made in the Buffalo and Western New York area. 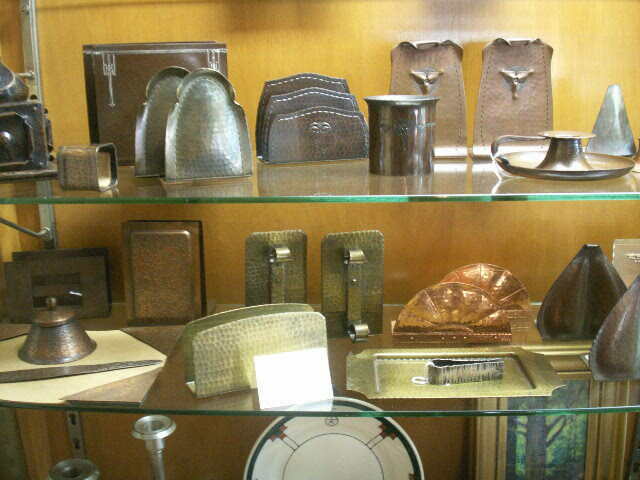 Makers include the Roycrofters, Karl Kipp and Walter Jennings in East Aurora, NY, Charles Rohlfs and the Heintz Art Metal Co. in Buffalo, the Avon Coppershop near Rochester, NY, and Gustav Stickley in Syracuse, NY. Another special interest is woodblock prints in the Arts and Crafts style, by Buffalo artists Annie Crawford and Emma Kaan, and others. We also like linen textiles with Arts and Crafts style embroidery. 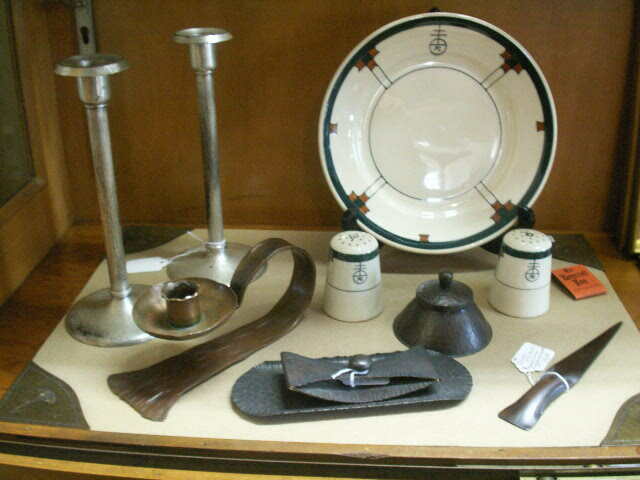 We also carry quality pieces by other American makers of the period c.1900-1930, both signed and unsigned. If you are furnishing your home in the Craftman bungalow style, we can help you find the appropriate furniture, lighting, and accessories.